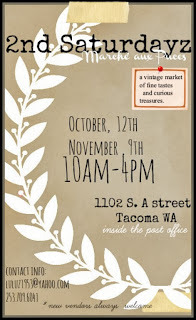 Market in the post office, 1102 S. A Street Tacoma WA. Sept 14th. 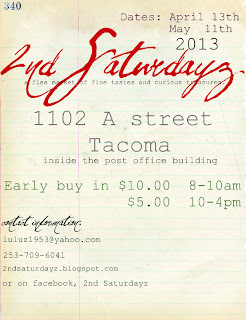 9am-4pm. Hope to see you there. 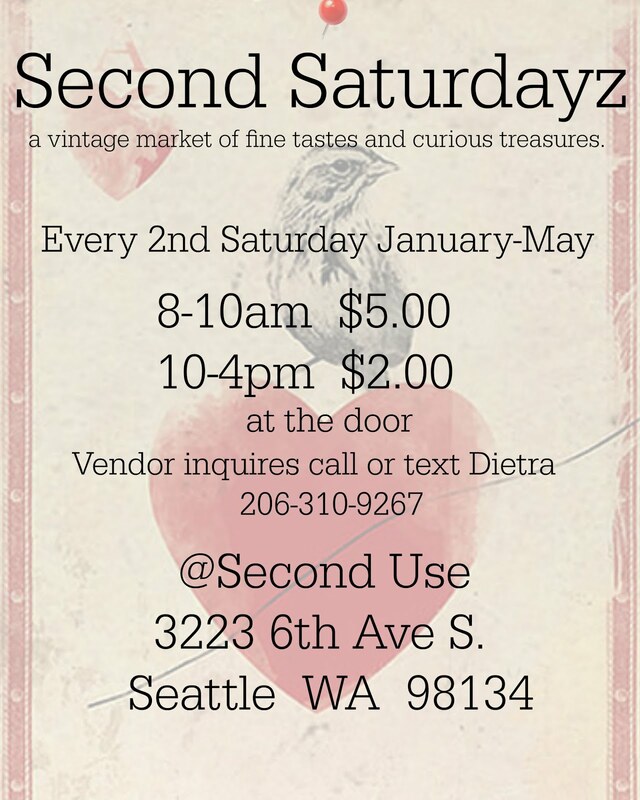 This is the last 2nd Saturdayz for the summer, June July and August I will be having a weekly FLEA Market every Saturuday in the South end of downtown Tacoma. YIKES JUNK TRIBE! 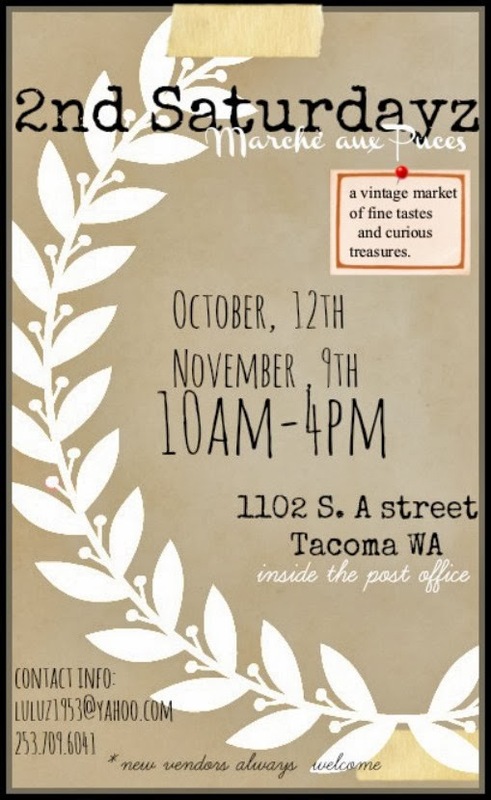 I just talked with the city of Tacoma and they informed me that the roads leading to our fab market in April will be closed for the Daffodil Parade. So we here at the home junk base put on our thinking caps and decided that it might be fun to change the time. NEW start time, 12:30. By that time all the streets will be open and there will be ton's of parking because the parade funsters will have moved on and taken their cars with them. 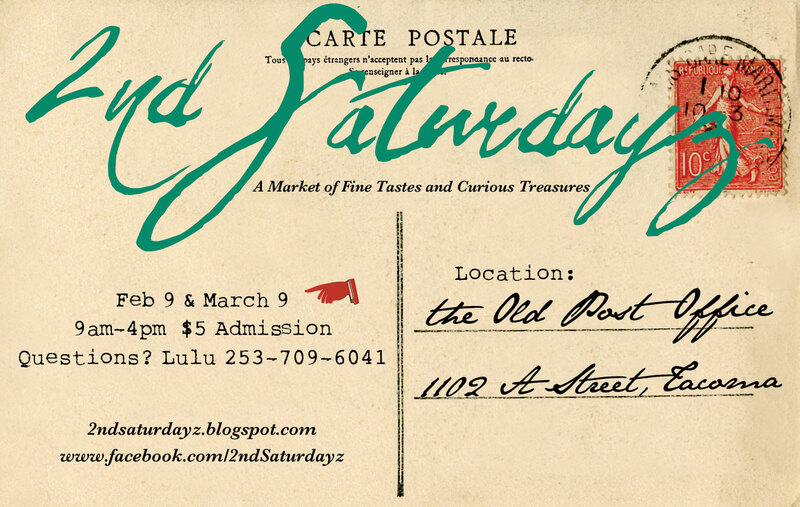 The new shopping hours are 12:30-6:30, $5.00 for everyone all day. I am not sure, but these might be better hours for us anyway. Gives everyone a chance to have some coffee and cake. 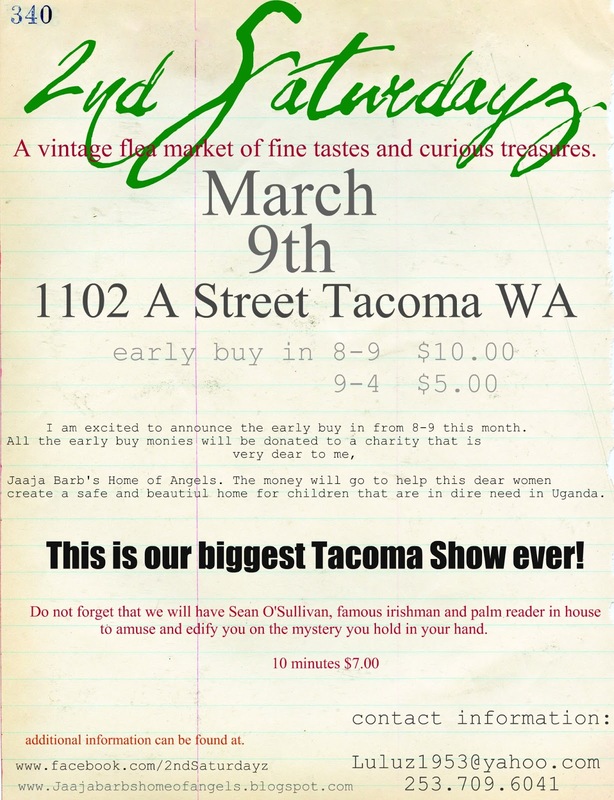 We will still have bags for the first few folks who come thru the door, and we might have some special antic's going on just cuz. We call ourselves the junk tribe. 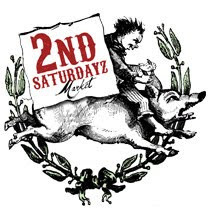 2nd Saturdayz is a once a month market, held on the 2nd saturday of the month. 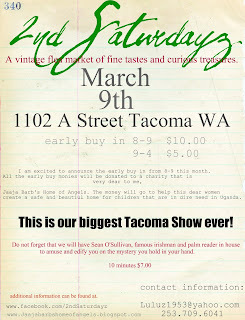 We always are looking to expand the tribe with new vendors. 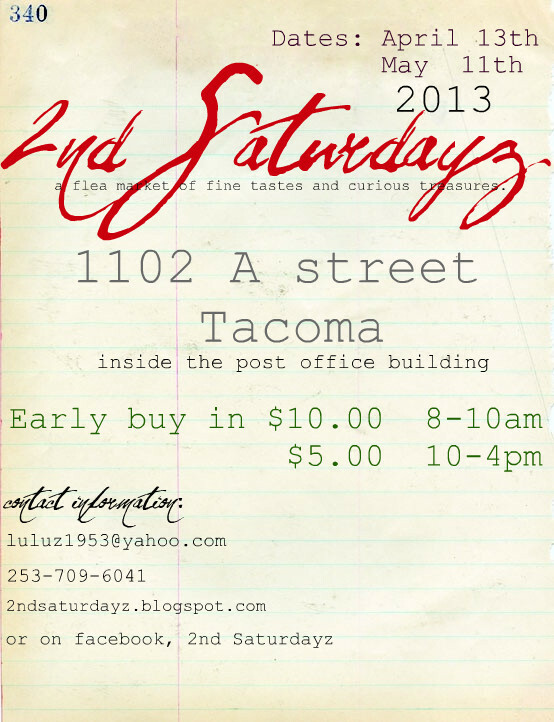 If you think you would like to give 2nd Saturdayz a try,email me at luluz1953@yahoo.com . Send along some shows you have done, or pictures of what you want your booth to look like at our show, just a taste is all we need. We will get back to you. If you have never done a show we would love to have you come and give it a try. Don't be afraid, really it's fun and we try to make it a easy show to do. Hope to hear from you. check it out! we are so in it!